Another 112 people were wounded, according to public health officials. 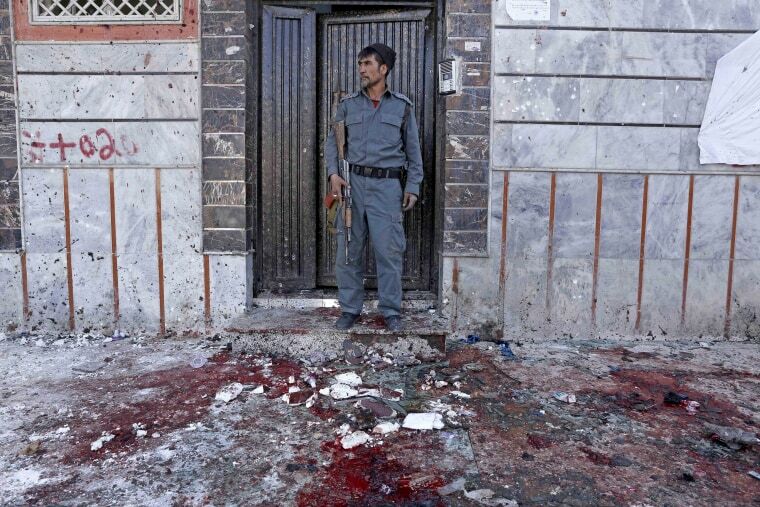 A suicide bomber carried out an ISIS-inspired attack at a voter registration center in the Afghan capital on Sunday, killing 57 people and wounding more than 100 others, according to officials from the Afghan interior and public health ministries. Public Health Ministry spokesman Wahid Majro said that 22 women and eight children were among 57 who were killed. He added that 119 people were wounded in Sunday's attack, among them 17 children and 52 women. "The tolls could still rise," Majro added. ISIS claimed responsibility for the attack in a statement carried by its Aamaq news agency, saying it had targeted Shiite "apostates." Afghan security forces have struggled to prevent attacks by the local ISIS affiliate, as well as the more firmly established Taliban, since the U.S. and NATO concluded their combat mission at the end of 2014. Both groups regularly carry out attacks, with the Taliban usually targeting the government and security forces and ISIS targeting the country's Shiite minority.